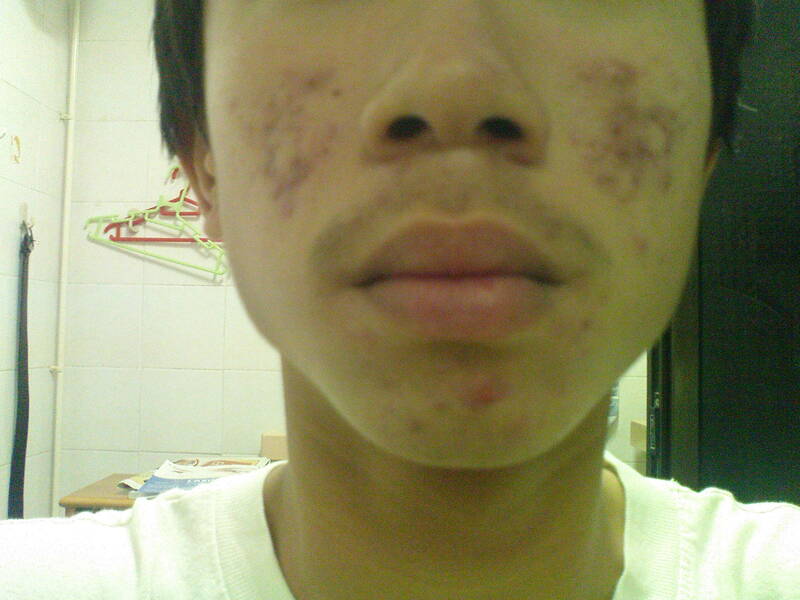 ok ppl, i havent suffer from acne for around 3year now. now i donthave that much pimple anymore. 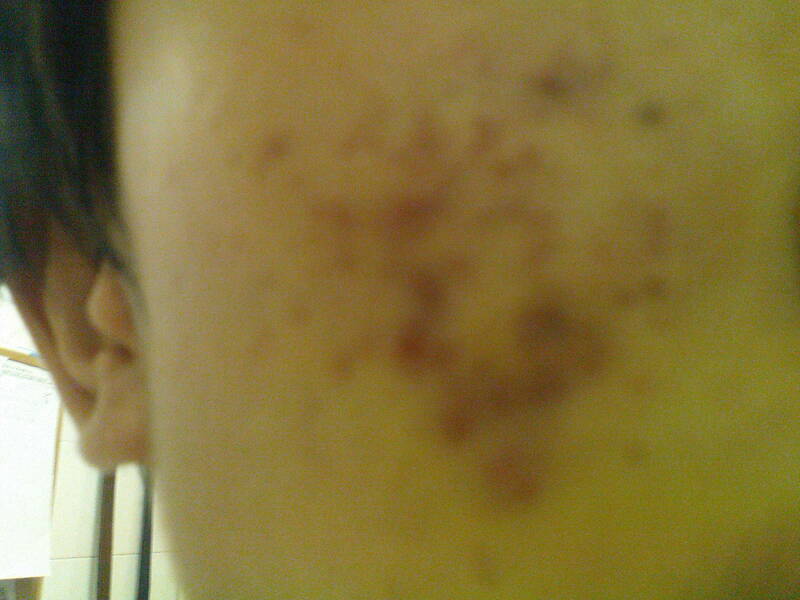 it is just that, i dontknow for whatever reason, my face have these dark red/ black spots. i dontknow what is it? i went to a nearby drugstore, and the person told me it is a blemish. i went to a dermatolgist, and he told me it is just pimples. so i really dontknow what is it. i will post some pics, to let you all see. as you can see, it is all the dark red marks that is killing me, what are them? blemishes or marks left from pimple? can you guys tell me, and recommend me some natural remedies/ over the counter product to lighten them asap? my school is starting in 3days time. please help me! thanks! Those look like active breakouts to me. Did the dermatologist give you any medicine? I think some of them are pimples and some are red marks..What is your current regimen by the way? i think you have an active acne and redmarks at the same time..
im currently using acnes medicated foamy wash, it is from japan. and a cream called, total clear acne gel from canada. anyone heard of it? is it possible to get rid of my spots? no, i dont think it is pimple. bcos it has no bumps, it is completely flat, just that it is dark red. very very obvious. can anyone recommend me some product to get rid of this? please help me.! what you guys meant by active acne? 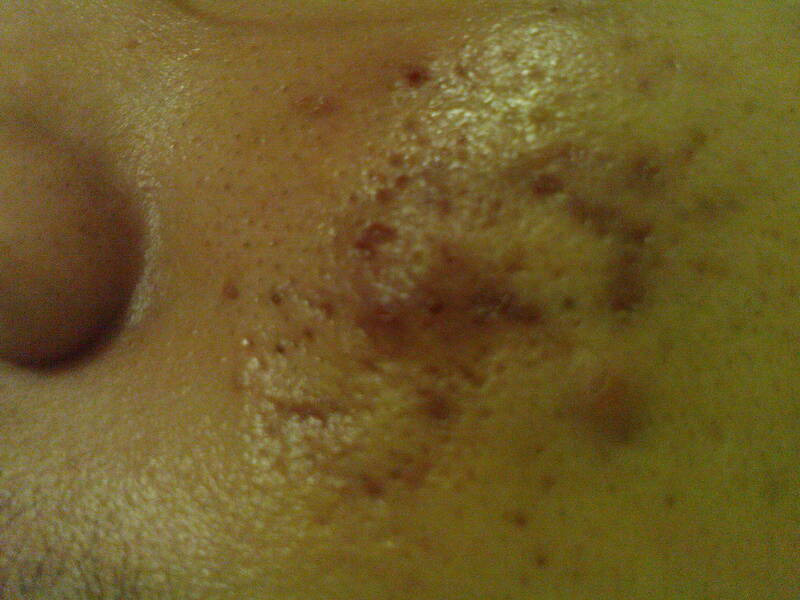 they are red marks and nt hyperpigmentation? how come? can anyone explain to me? it look brown rather than red to me. Active acne means that you're still breaking out. "red marks" and "hyperpigmentation" are both synonyms meaning blemishes or dark spots left on your face.